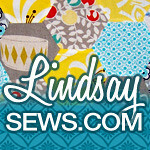 It's Sew Mama Sew Giveaway Day! 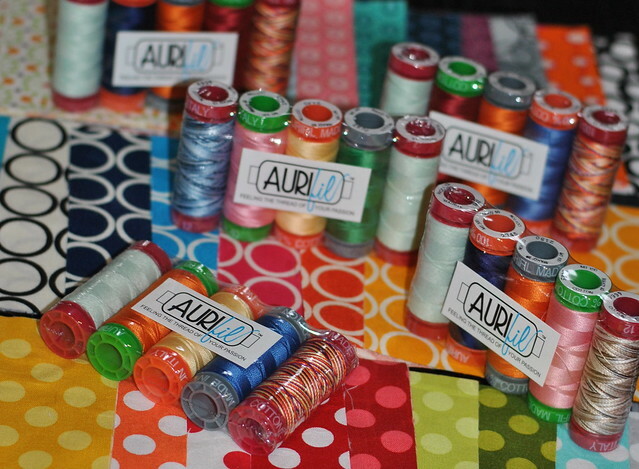 Fill out the Rafflecopter form below for your chance to win a sampler pack of Aurifil Threads (4 winners)! Open in U.S. only. I'll choose four random winners on Friday, May 25, 2012. Good luck! I am working on many things at once: just finished some little bibs and potholders, working on some Bee blocks and a few quilts for myself. I'm finishing up two quilts and a swap item. 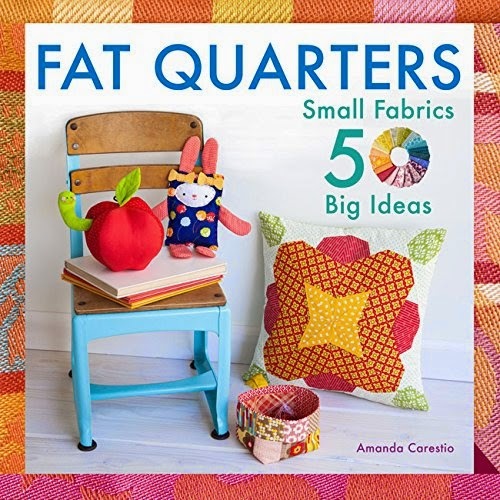 I'm working on finishing up the fat quarter shop designer mystery block of the month (I've got my last block to piece) and the bunny hill merry, merry snowman quilt, among other things. A window frame quilt. I'm using a stash of fat quarters I have been holding onto for sometime. Also working on two dot and cross quilts. Need to add borders to each of them. Lots to be done. Thanks for such a great giveaway. I have always heard great things about Auriful thread. Have a great night. Right now I'm sewing up some doll clothes! I am working on a garden fences quilt for my niece using Riley Blake's Indian Summer. It is coming along beautifully!!! Right now I am trying to get caught up on my Craftsy BOM blocks and I am doing some English paper-piecing for fun. I have a whole stack of finished quilt tops that need some attention too! ;) Thanks for the chance! I am about to start (!!!) a wedding quilt for my son -- very exciting! Too much. But I'm trying to focus on making baby blocks for my daughter. Thanks for the giveaway, I love your blog and am already a follower. I am sewing a sewing machine mat. Right now I'm sewing flower blocks for a Sophie quilt. I need to sew the binding down on a quilt. =) I have other things I need to sew too. Right now I'm working on a scrappy baby quilt in pink, orange, aqua, and lime green. Also, I have two Harley Davidson themed quilts in the works -- a special request from my sister. I am participating in a 'craft it forward' thing and am sewing a bag for my hairdresser. I am working on two quilts right now! Baby quilt...though I don't usually make actual baby quilts so it's really a quilt for a small child. I like to make something they can grow into! 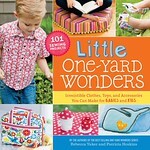 Right now I am sewing / taking pictures of a tutorial that will be released in June. I am working on the Patchwork Prism quilt right now. I am a little behind, still cutting all those pieces! I'm going to start a new purse--Noodlehead's 241 bag! I'm working on a Granny Square quilt made out of "Quilt Blocks" fabric! I'm working on 2 quilts at the current moment, one a baby "lap size" that's almost done, and one a baby quilt w/ the Welcome to Bear Country fabric!!! I just finished my first quilt ever!!! I'm sooo hooked! I've been making summer clothes for my kids. Last night I was doing some hand pieced hexagons. Thanks for the chance to win! I'm sewing a quilt for my son's bed as well as a set of place mats. I always have more than one project going at any time. I'm working on some coasters and a patchwork throw pillow that are almost done, plus I started a shirt for me, a quilt for my son, and curtains for the kitchen and bathroom. My mom is coming for a visit in like a week so she is going to help me finish up all my work-in-progresses! I am quilting a large quilt for my niece's wedding gift. I really need to finish soon - yikes! 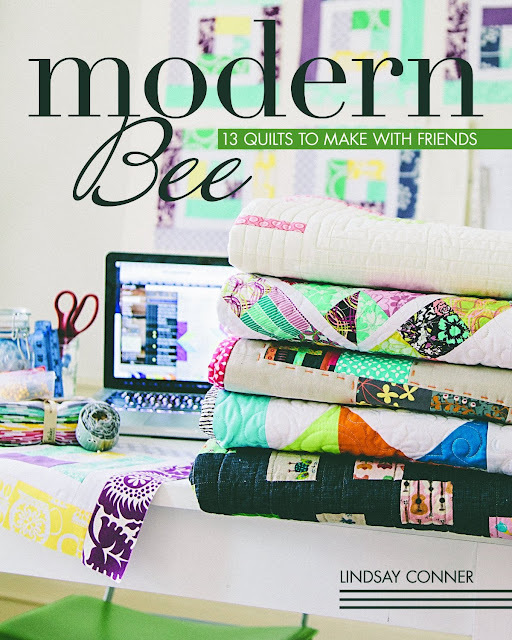 I am a quilter, looking to expand into new projects. Just finished up an adorable pencil skirt. Got a few projects in mind next, but can't decide! I've been wanting to try this thread. Curtains for my kitchen; I have some great Pottery Barn fabric I'm using. right now i'm sewing a summersville quilt and a tiny pocket tank (for me!). I'm making a nautical bag and trying to get myself pumped up to try out a dress. Thanks for the chance! I'm sewing a romper for my little boy, thanks for the giveaway! I'm working on baby gifts for my three new nephews. I'm finishing up a Tokyo subway map quilt (tut from Elizabeth Hartman). I'm just starting on quilts for my twin granddaughters due in September! I am sewing a dress for my little girl and a garment bag for her too. I am working on three small quilts made from the same jelly roll right now. wayyyy too many things! i've got the patchwork prism in progress, my retro flowers are in the hand quilting stage, and i'm about to start the handstiched class, yikes! I working on a quilt for a tutorial! I am sewing a diaper cover. I'm entering a quilt in the local quilt fair, and it needs a hanging sleeve on the back. That's my next priority because the deadline is coming up fast. I'm working on two small table toppers. Thanks for the chance. Making a bag from a dress I bought at a thrift store. working on several diaper covers, fleece shorties, unpaper towels...crowns...the list just goes on and on! I'm sewing a mini quilt using applique. I'm working on a baby quilt and planning out a quilt for my aunt. Thanks for the giveaway! 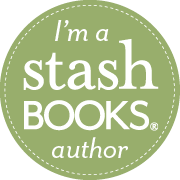 Today I'm working on Designer Mystery 2011 from the Fat Quarter Shop. 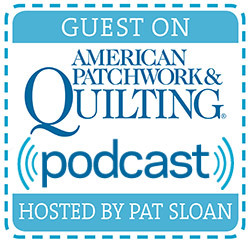 i have great thing about Aurifil threads, would love to give them a try! Tomorrow I am hosting a sewing get-together to sew dresses for Malawi orphans! Thanks for a great giveaway! Working on a quilt top. Thanks for the give-away! I just finished nightgowns for my daughters, and I'm starting on a quilt for my baby due in July. I'm attempting my first quilt for my daughter's wedding gift. I should be sewing a baby blanket for my bun in the oven! I'm sewing on the binding of a bull's eye quilt. Thanks for the giveaway! I'm working on a quilt for my new baby! A sparkle punch quilt top!!! Thanks for the chance! I am sewing a spiderweb quilt! RIght now I'm sewing a wallhanging as a present. But it's a secret! Currently working on a lap quilt for my granddaughter. Going to attempt my first pillowcase! I am sewing crib sheets for my daughter who is expecting in august. Our 1st grand baby!!! i'm working on some treasure pocket pants. thanks for the great giveaway! My current project is developing and making a geometic quilt that was inspired by a rug. Making a quilt for my son and other many items for clients. I'm sewing on a quilt for my daughter right now. I am sewing up a tea wallet to surprise a friend. I'm completing a QAL, Jacob's Ladder quilt top. I've got rows!!!! I am finishing up a purple and gray wedding quilt for my best friend. A yo-yo quilt & some quilted tote bags! Right now, I have to bind a sampler quilt in purples, add borders to a lap quilt using the Pure by Moda line, finish piecing a rail fence quilt in greens and a scrappy picnic quilt. I just finished making a pillow today. Will probably make another tomorrow. Both are gifts. Working on some hand appliques. I am free motion quilting my Queen size Village Green quilt. I'm working on some summer sun dresses for myself and my niece! I just finished a prom dress, and now I am working on a Swoon quilt out of Hometown by Sweetwater. Finishing up some napkins and placemats. I working on a quilt for H2H that Sarah @ http://confessionsofafabricaddict.blogspot.com/ is hosting plus my granny square quilt. I'm working on LeJardin from Bunny Hill - applique! YAY! I'm working on zipper pouches and a dress. I am working on a baby quilt and finishing up some bibs to go along with the gift. Thanks for hosting a giveaway! I am finishing a Christmas quilt started a year ago. I signed up to follow. Quilt Con challeng blocks. I follow via RSS. I am a follower. I so need the threads. I'm making a birthday present for my sister. 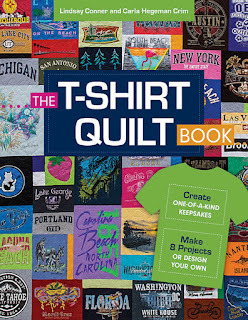 I am a follower, and I'm making some blankets and a few quilts right now :) Thanks for the chance to win!! Ive always wanted to try these. A Lynnebobsquarepants quilt for my niece. I'm making pillows for my daughter and finishing up binding on a quilt. I am working on a shower curtain and curtains for the rest of my new house too! I'm finishing up my swoon quilt! Am making a small doll as a gift for a friend, with a mini quilt for the doll. I am finishing up a lone star for my guild's quilt show. I just finished a graduation quilt for my nephew and am working on a graduation quilt for my niece. Better hurry--graduation is almost here! Working on a table topper. Thanks for the giveaway. A bunny softie for my granddaughter's first birthday and just started a kaleidoscope quilt. Thanks for hostessing this giveaway! I'm working on a floral applique wall hanging and will then make a matching table runner. I'm making a quilt for my brother to go off to college with! 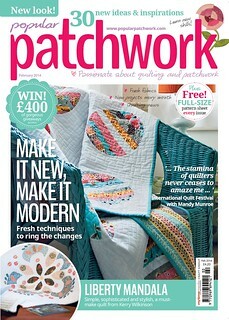 I'm about to piece a quilt back with Sherbet Pips. I just finished piecing a queen size zigzag quilt for my daughter, need to quilt and bind it. Im working on the Patchwork Prism QAL, on a wonky star cat bed, and two other quilts..er..three...and finishing up a purse I made this weekend! I'm sewing long white circle skirts with red flower appliques along the hem for all the girls in my daughter's class for their preschool graduation performance. Finishing machine quilting a quilt top I made a year ago...almost done...! I am sewing a bag, a pillowcase, two girls dresses and one blouse. Yes, all at the same time. im working on two baby girl quilts and some fabric stuffed animals :) i love to make gifts!! I'm sewing some new pillow covers for our couch! Thanks! Thanks for the giveaway! I'm looking forward to seeing your blog posts! an i-spy quilt. Thanks for the giveaway! Coasters as a gift for my son's teachers. Thanks for the giveaway. I am sewing projects for the Zakka Style sew along. Right now I am quilting a quilt as you go project and piecing a baby quilt. Right now I've got several things going. A few quilts in various stages of completion...and I am re-covering a vintage suitcase to use as my craft supply carrier to go to classes or on sewing visits with my mom. I'm sewing some bags and reading a new book on appliqué. I'm making a series of quilts out of recycled men's shirts. Great giveaway. Busy sewing thank you gifts for an upcoming trip to Europe. Right now I am sitting at my computer :) but if I were sewing it would be on a pocket organizer to keep the family's winter woolies in check! I am working on 2 quilts. i'm working on some treasure pocket pants. I am quilting my granny squares quilt, doing it by hand so it will take a while! I am finishing up a baby quilt and avoiding finishing the last few blocks on my Swoon quilt! I'm sewing a Winter Dresden Plate quilt - longterm. Also I'm making wristlets for a wedding party. A nap mat for my little fella....only binding left now! :) Thanks Lindsay! Hi, Lindsay. Right now I am working on a quilt for friends who just got married, but I will soon start working on bow-ties for a friend's wedding. thank you so much! I'm currently starting on an apron for summer outdoor grilling :) Thanks so much for the chance to win! I'm working on a new quilt for my daughter's birthday ... love this thread. Thank you for the wonderful give-away. I am working on finishing some WIP/UFO's this summer. One down, five to go! Thanks for the chance at your giveaway. I am working on a purple quilt for my niece who turns 3 this weekend! I'm working on a double wedding ring quilt. Making a charity quilt that is due soon! I am working on a wool quilt. I'm working on a lap quilt in gorgeous batiks! I have been busy on two different projects. First, toddler quilts for a friend's twins. Have the tops finished, now I just have to quilt. Second, I have made a couple doll quilts(see my giveaway) and have a couple more planned. right now i am sewing a quilt with charms of all the alexander henry fabrics i have...flickr friends have generously offered up some of theri stash so i will be ablelt ohave this awesome quilt with no repeats! thanks for a chance. Must win! I'm dying to try Aurofil thread! I'm trying to finish up a baby quilt for a baby that's soon to be one! trying to get my courage up to sew the Banyan shorts from Figgy's....zip fly!! Happy to follow you via gfc! I love Aurifil thread! Thanks for the giveaway. A mei tai baby carrier and cloth diapers! I am actually crocheting right now. Making a dress for my friend's little girl who turns one soon. I am sewing a scrappy heart quilt. Get Promotional Flash Drives here. © 2008 - 2011 Lindsay Conner. All Rights Reserved. Powered by Blogger.